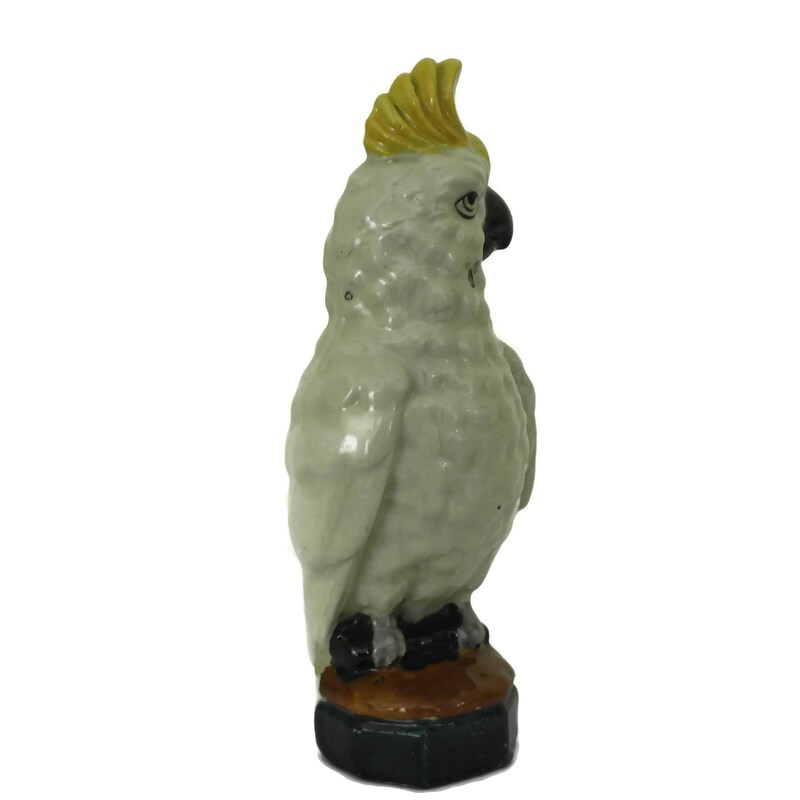 A French antique porcelain parrot figurine money box from the 1930s. 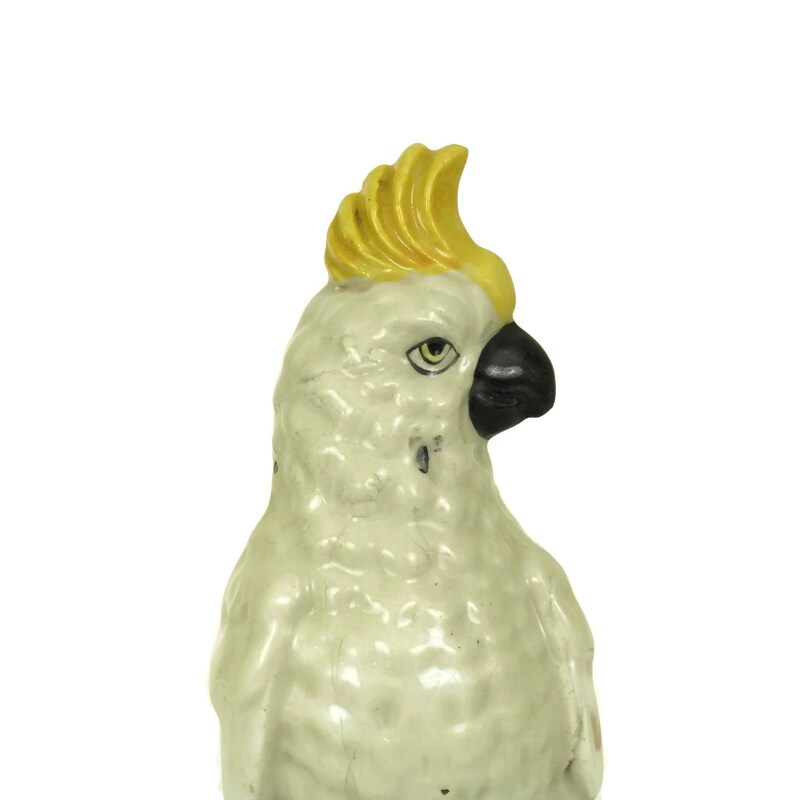 The collectible ceramic cockatoo coin bank was manufactured by the pottery factory Saint Uze in France. 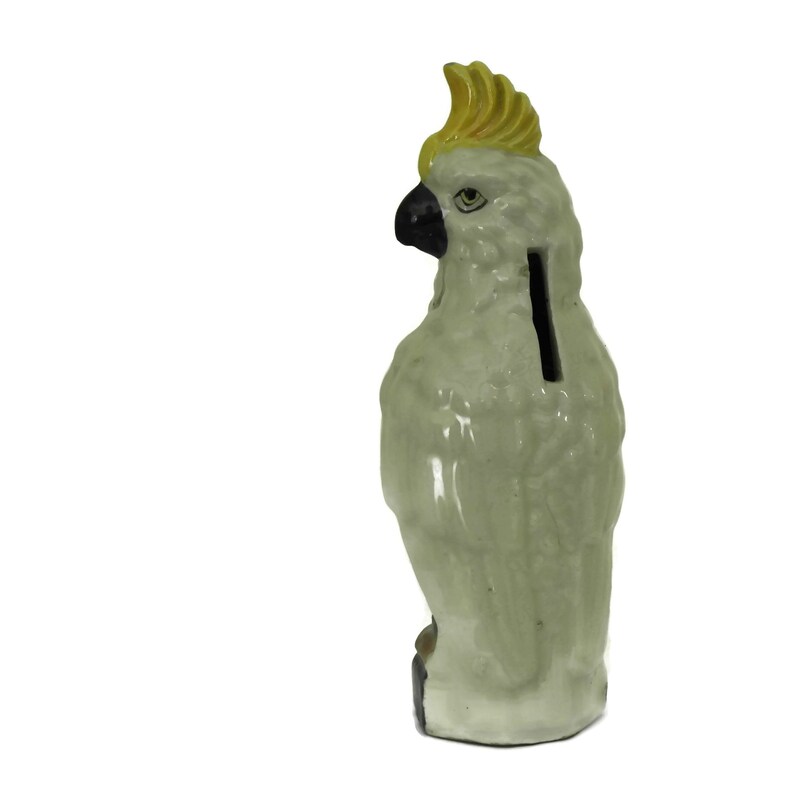 It features realistic details and has been glazed in white with colorful accents. 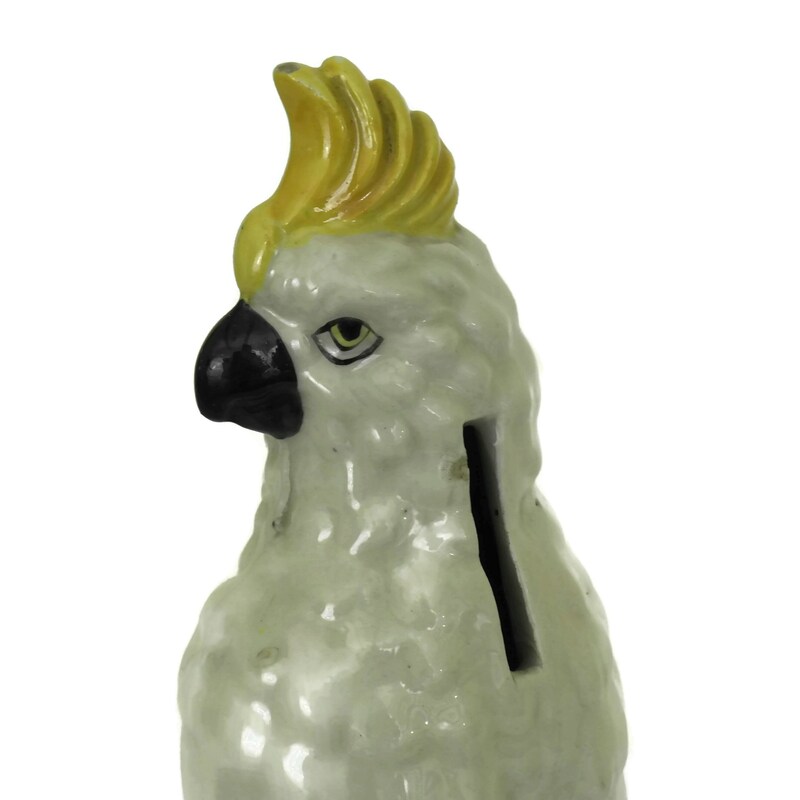 The tropical bird money saving pot has a large coin slot at the back. 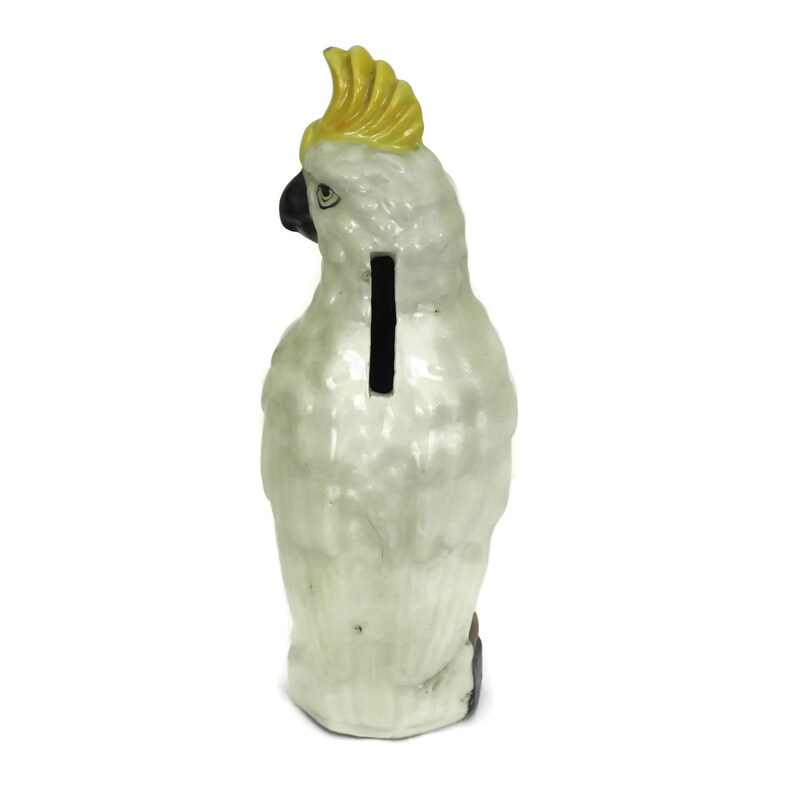 As it has no opening to remove the coins, it is also known as a save and smash piggy bank which have become particularly rare and collectible. 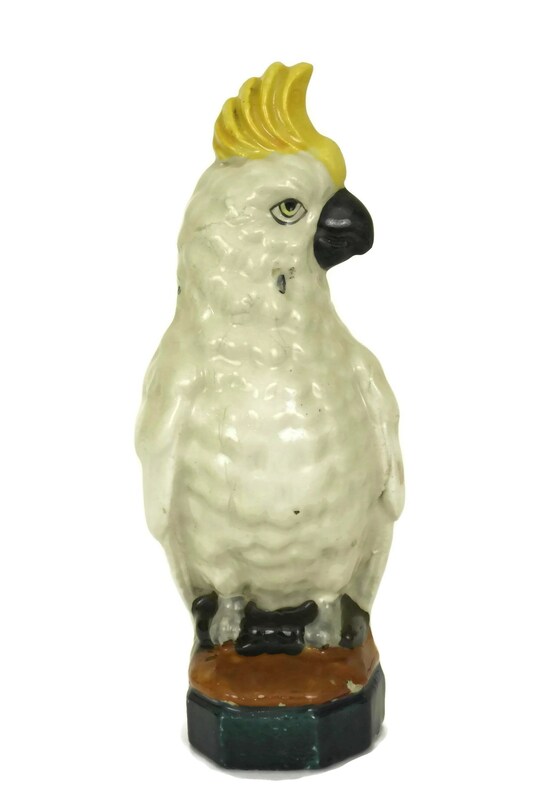 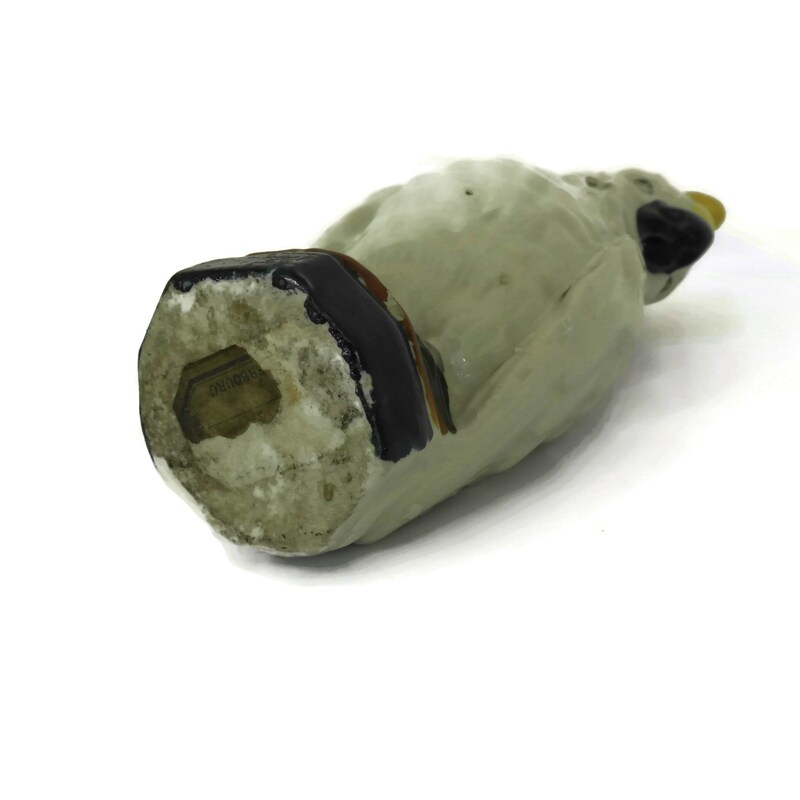 It will make a great addition to your bird figurine or money box collection. 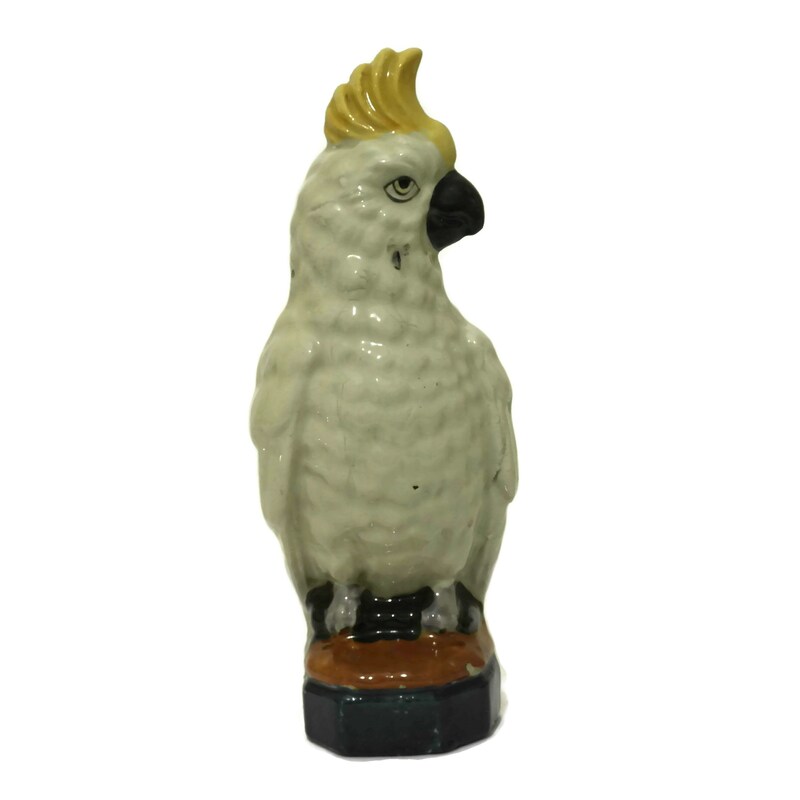 7" Tall x 2.5" Wide x 2" Deep (18 cm x 6,5 cm x 5 cm). The porcelain parrot figurine coin bank is in good condition with some signs of age. 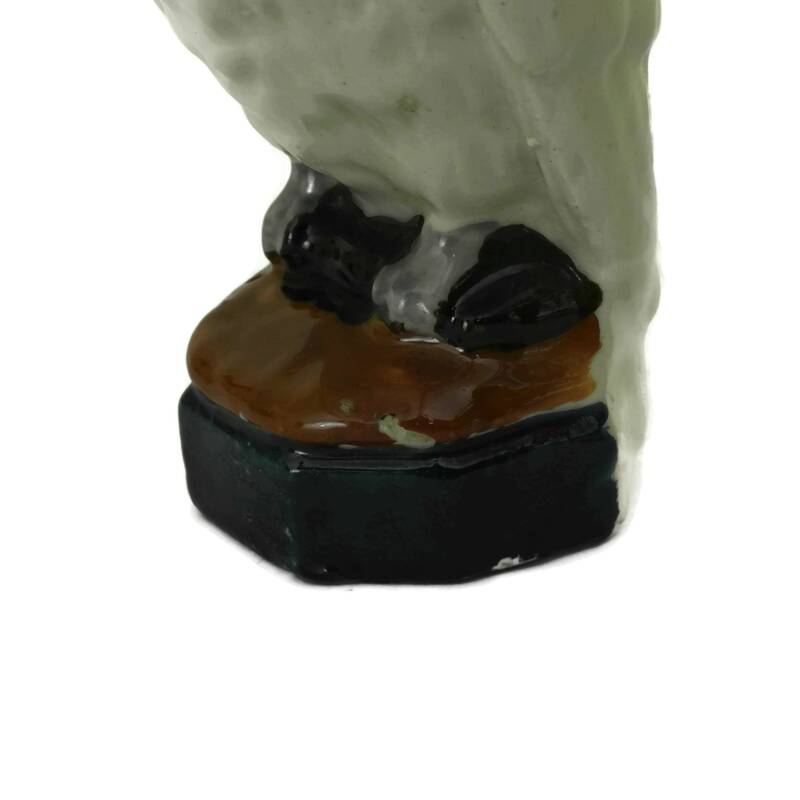 There are small flakes to the glaze on the top of the comb, the base and to the edge of the coin slot.